The Jan Hopkins Group is a communications consulting firm. JHG helps executives develop critical communications skills for more effective presentations and to better prepare for media interviews. In addition, JHG provides moderators and speakers for companies and conferences. And JHG creates customized programs and videos. The Jan Hopkins Group team assists senior executives. The Jan Hopkins Group provides media and coaching, moderating services of important events, video production and corporate videos. For the National Association of Professional Women, The Jan Hopkins Group produced an exclusive web series, Women to Watch, featuring Jan Hopkins interviewing Maria Bartiromo of CNBC and Muriel Siebert "The First Women of Finance". Jan Hopkins moderating election panel with Karl Rove and Robert Gibbs. 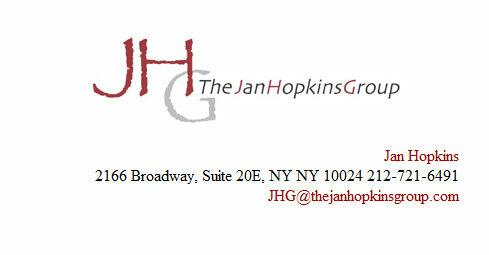 The Jan Hopkins Group is a communications consulting firm. JHG helps executives develop critical communications skills for more effective presentations and to better prepare for media interviews. JHG also helps executives develop critical communications strategies. In addition, JHG provides moderators and speakers for companies and conferences. And JHG creates customized programs and videos designed to help companies and non profits connect more effectively with their clients. The Jan Hopkins Group team has prepared many senior executives for important presentations and interviews. A list of clients is available on request. Associates of The Jan Hopkins Group have extensive experience in radio and television news on local, national and international levels. They have interviewed thousands of guests including Presidents of the United States and Presidents of Fortune 500 companies as well as small business owners. The team knows how to prepare senior executives for important media interviews. They can also prepare business leaders for presentations before clients and boards. 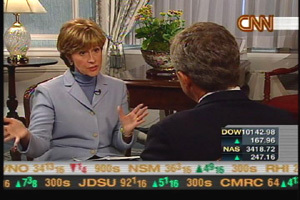 Jan Hopkins has nearly two decades of experience as a CNN anchor and correspondent. Prior to CNN she worked at ABC and CBS News. She started in radio news in Cleveland and moved to television news in Youngstown and Cincinnati. Group associates have experience as network camera people and producers. The Jan Hopkins Group includes a team of talented network professionals. She and her team have worked as producers, camera people and editors for the major networks. They have experience with breaking news and long form programs and documentaries. The team has experience at CNN, ABC, CBS, CNBC, and PBS. 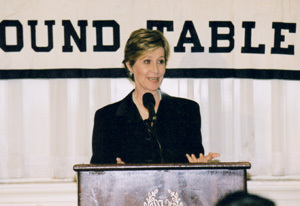 Jan Hopkins is an accomplished international speaker. She is available to speak on business and economics topics as well as as a motivational speaker telling the story of her career path as one of the pioneers of business news on television. She can be contacted directly or through her agent, The Washington Speakers Bureau. JHG has worked with a number of CEOs to prepare them for important presentations and media interviews. Sometimes this involves a half day of preparation and practice and sometimes it involves several weeks or months or even years in regular planning, feedback and practice. We put together unique plans for each individual and company. We will provide a client list on request. 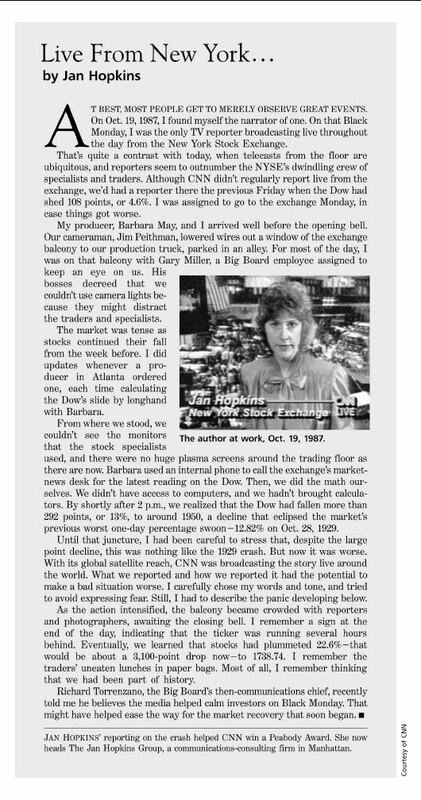 "Jan is connected to the pulse of New York City and her reach extends far beyond. Jan is responsive and efficient and I can always count on her for a job well done. " "Jan provided constructive and valuable feedback to our executive management team in advance of our Investor Day. Her background and experience proved helpful as we prepared for the event." "Jan provides excellent advice to me and my team. Jan’s vast experience in the media helps us communicate our messaging better at Lanxess. 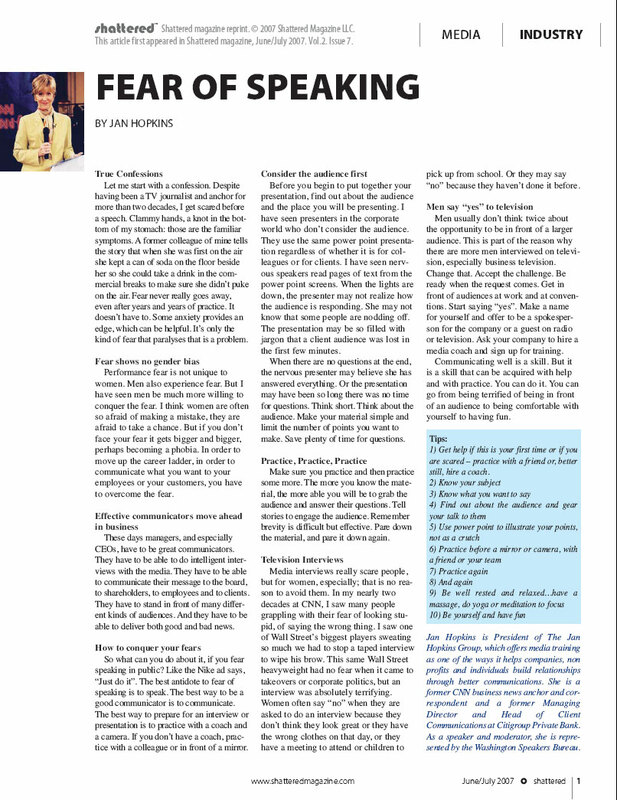 Jan’s expert advice helps me, as CEO, be a better communicator." Randy Dearth, President and CEO, Calgon Carbon Corporation, formerly President and CEO of LANXESS Corporation. "You did an excellent job of moderating the lively discussion between Karl Rove and Robert Gibbs!" "I hired Jan as Head of Client Communications at Citigroup Private Bank. Jan is a talented and diligent professional who was also a pleasure to work with. 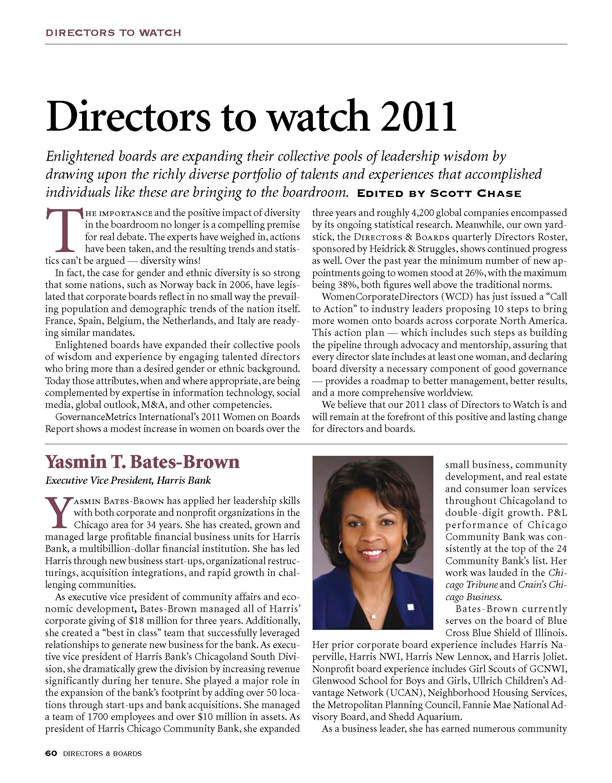 She is a strategic thinker, articulate and creative."